The question isn’t whether to move the Olympics, but how to combat Zika. 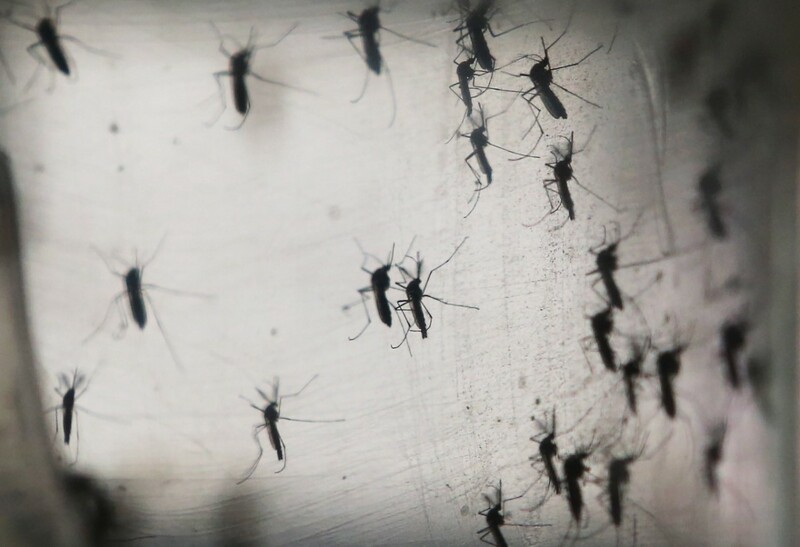 With as many as 500,000 spectators and more than 10,500 athletes expected to attend the Olympic and Paralympic Games in Rio de Janeiro this summer, the world is racing to contain the mysterious, mosquito-borne Zika virus that has infected more than 120,000 people in Brazil since 2015. Several athletes and journalists have already said they will not attend this year’s games. It’s no wonder why: The disease causes microcephaly, a rare birth defect — never before associated with a viral infection—that causes babies of some pregnant women, infected with the virus, to be born with underdeveloped heads and brains. More than 1,300 cases of confirmed microcephaly in infants born to mothers who were infected with Zika during pregnancy have been reported in Brazil. Another 3,300 cases are still being investigated. The likelihood of a woman who was infected with the Zika virus during pregnancy giving birth to a baby with microcephaly is estimated to be as high as 13 percent. Additionally, physicians are concerned that infants might experience other neurological damage and developmental problems that could affect their vision, hearing, cognition, and behavior. Adults have experienced an autoimmune disease associated with the virus called Guillain-Barré syndrome that can result in paralysis. To date, several people infected with Zika have died. Other scientists suggest that the number of Zika cases will decline during the winter months in Brazil when the Olympics are scheduled to occur. 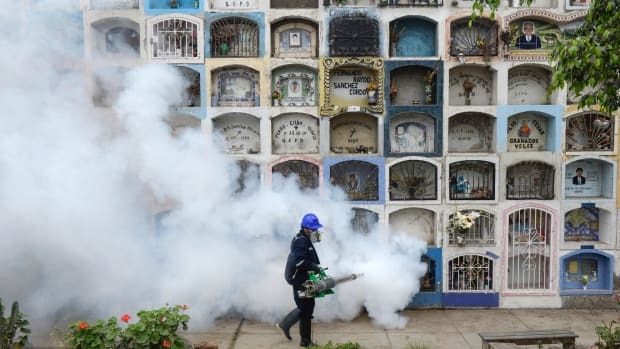 However, recent seasonal patterns for diseases, like dengue, carried by the same Aedes aegypti mosquito, suggest that, while the Zika outbreak might well ebb, it will most likely not disappear entirely. Furthermore, given the effects of climate change, some mosquitos are thriving in winter months that are warmer than in previous years. Another concern expressed by some experts is that the Asian strain of Zika (believed to be introduced to Brazil in 2013 and subsequently to other South and Central American countries) appears to have higher rates of serious complications, including microcephaly and Guillain-Barré syndrome, as compared to the African strain. More research is needed on these observations, and on other aspects of the disease. If any Olympic athletes attending the Games in Rio become infected and return to their respective countries and transmit the disease to others, this would represent a violation of the Games’ principles of social responsibility. While the WHO and CDC statements provide general re-assurance that the Olympic Games do not pose an increased risk of Zika transmission given the sheer volume of travel that already occurs to and from Brazil, the actual risk of further Zika spread as a result of the Games is difficult to accurately predict. 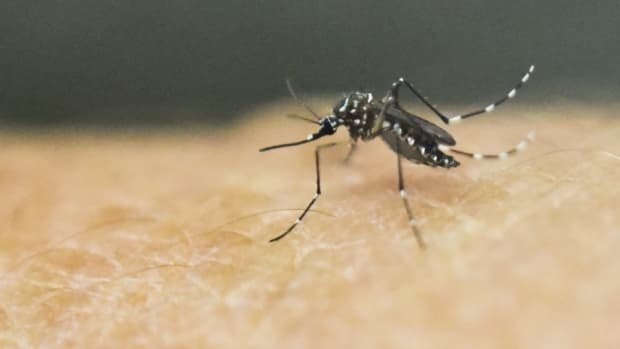 To address this issue, several epidemiologists have developed a mathematical model based on estimating how many mosquitos will be in Rio during the Games to determine the chance that spectators and athletes could be infected during this three-week period. Their preliminary model suggests a one in 31,000 chance of contracting Zika — that means 16 cases—as compared to a one in 11 million chance of dying in a plane crash or a one in 9,100 chance of being killed in a car accident in the United States this year, but it should be noted that other experts believe there are limitations to this statistical approach. According to the European Centers for Disease Control and Prevention, however, attendees are much more likely to experience food poisoning during the Olympics in Brazil than to become infected with Zika. But it should be remembered that this public-health issue is not just about the number of cases, but also about whether infected people traveling back to their countries might trigger a new outbreak somewhere in the world. According to the mathematical model, keeping the Games in Rio would not change the course of the epidemic globally. Similarly, a San Paulo-based research group confirms this prediction, estimating that attendance at the Rio Olympics would result in a maximum of 15 Zika infections among the visitors. Given the public’s fears about contracting Zika at the Games, Rio’s Olympic organizers convened a briefing on June 7 with the city’s chief medical expert emphasizing this prediction — that Zika is expected to affect only an estimated 1.8 people per one million tourists—15 people — during the three weeks of the Olympic competition. Nonetheless, some experts argue that core principles that animate the Olympic Games provide a counter-argument to convening the competitions in Rio this summer under these circumstances. An article published in the Harvard Public Health Review quotes the International Olympic Committee statement: “Olympism seeks to create … social responsibility and respect for universal fundamental ethical principles.” If any Olympic athletes or spectators attending the 2016 Games in Rio become infected with the virus and return to their respective countries and then transmit the disease to others, this would represent a violation of the Games’ principles of social responsibility, which, if interpreted broadly, would include not spreading an infectious disease. What is clear is that the ongoing impact of the Zika virus has been yet another wake-up call after the Ebola outbreak last year that infectious diseases pose significant threats to human health and international security. On February 1, 2016, the WHO declared that the Zika outbreak was a public health emergency of international concern. Experts estimate that 2.17 billion people are living in tropical and sub-tropical regions, where Zika-carrying mosquitos can thrive. According to the WHO, as many as four million Zika cases are predicted in the Western Hemisphere alone by the end of 2016. There is increasing concern that the disease could affect people living in the U.S. during the upcoming summer season. As of June 1, 2016, there have been 618 Zika cases reported in 46 U.S. states (none of which have been locally transmitted), and 1,114 cases reported in three U.S. territories, with 1,075 cases in Puerto Rico alone. The virus is a particular threat to Puerto Rico, where local transmission is occurring. It has been estimated that as many as 25 percent of people residing there may become infected with the virus. If local transmission of the virus occurs in North America, the Aedes aegypti mosquito would likely be the primary vector in urban areas and southern U.S. states along the Gulf Coast, whereas the Aedes albopictus mosquito could play a role in transmission due to its distribution as far as New England and the lower Great Lakes. The global transportation of cargo and travel by people are largely responsible for introducing these mosquito vectors to other habitats and continents. 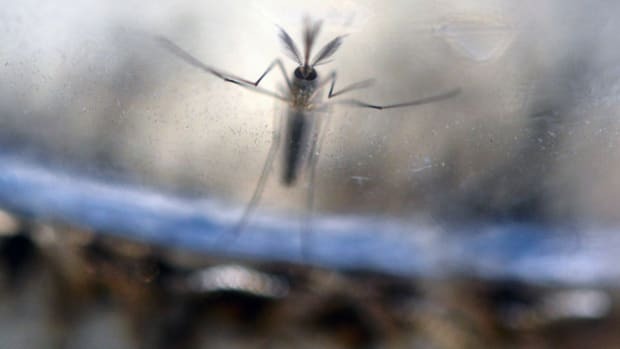 In addition, environmental changes including urbanization, dam construction, deforestation, and rising temperatures linked to climate change have increased the number of locations around the world in which these mosquitos can thrive. The Zika pandemic underscores the importance of prevention and public-health preparedness in mitigating the spread of disease and promoting global health. Since 1976, as many as three new infectious diseases have emerged each year: HIV/AIDS, SARS, H1N1, Ebola, MERS, and West Nile encephalitis are just some of the most serious and headline grabbing ones. As of 2014, more than 346 infectious diseases were linked to 16 percent of all human deaths worldwide. Given the urgency of Zika as a public-health threat, the Obama administration requested $1.8 billion to fight the disease. Congress is currently debating the level of funding required. In the meantime, on April 6, 2016, the Obama administration re-directed $589 million in unspent funding to combat Ebola to fight the Zika epidemic while waiting for Congress to act. By investing in research (which Congress has still not done at an adequate level) toward the discovery of a vaccine and antiviral treatments, human suffering and the long-term costs of caring for children with microcephaly, and people with Guillain-Barré syndrome and other health-damaging complications of the virus can be averted. Additionally, the results of increased knowledge about the virus should pay dual dividends to help fight other infectious diseases as well. 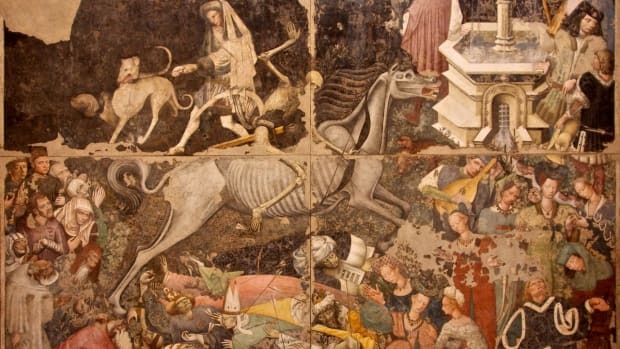 Throughout history, infectious diseases have killed more people than wars, making them powerful international enemies and decisive shapers of history. We can go debate where the Olympics should be held, but Zika is a global problem regardless of where athletes go for gold this summer, one we need more resources and research to solve. On May 6, 2016, United Nations Secretary-General Ban Ki-moon announced the establishment of a targeted “UN Zika Response Multi-Partner Trust Fund,” which will provide a rapid, flexible, and accountable platform to support a coordinated response to support the global Zika Strategic Response Framework and Joint Operations Plan in consultation with U.N. agencies, partners, and international public-health experts. Donors will contribute to a central “fund” and an advisory committee will direct monies to priority activities and programs. This is an important step forward, but this Zika fund should be expanded and established as a “Global Health Security Fund,” a permanent entity to support the international response to all emerging infectious disease threats now and in the future (in the interest of full disclosure, we have previously proposed such a group). On May 20, the World Bank launched an innovative $500 million insurance fund to address some of this need. The new Pandemic Emergency Financing Facility will help in the fight against pandemics in poor countries. In the event of an outbreak, the facility will rapidly release monies to an affected nation and qualified global first responder organizations. The fund creates the first insurance market for pandemic risk. Last month, at the G-7 meeting in Tokyo, pandemic planning was a prominent issue with the group’s endorsement of the Global Health Security Agenda. The G-7 has reached out to more than 70 countries to assist them in implementation of the WHO International Health Regulations. However, only about one-third of nations globally have the resources and public-health infrastructure to respond effectively to public-health emergencies like Zika, creating vulnerabilities worldwide. That is why pandemic planning and response is essential with coordination of efforts, robust early detection methods, disease surveillance, and reporting systems, as well as investments in new vaccines, treatments, and prevention strategies. Community education and mobilization is critical, as well as creating a pandemic response corps of trained health professionals, lab technicians, and other health providers, who can be rapidly mobilized when an outbreak occurs anywhere in the world. Focusing global attention on where the Olympics should be run this summer while failing to commit the necessary time, money, and action to combat the Zika virus is not a winning strategy. Throughout history, infectious diseases have killed more people than wars, making them powerful international enemies and decisive shapers of history. They remain clear and present dangers to human health, economic development, and national security in an interconnected 21st-century world, and we must remain vigilant against them. That is why a medical marathon is needed, making significant investments now to strengthen the scientific knowledge base, developing new global health technologies including rapid testing methods that can be deployed in combination with proven public-health practices, as well as strengthening health systems with a coordinated national and international response. These efforts will enhance our ability to fight Zika and other emerging infectious disease threats more swiftly and effectively, moving from peril to progress in the years ahead. Intensifying concern about the spread of the Zika virus worldwide underscores that microbes are ticking time bombs against the health of humanity and failure to fight them is not an option.